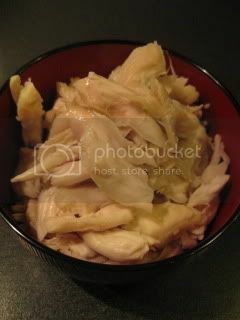 Another recipe with shio-koji chicken! We had such warm days last week. I made somen again...this time, a little different style. First, I made shio-koji chicken. 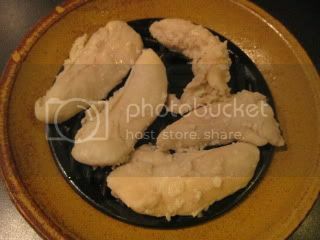 For about 10 oz chicken tender, I used about 2 tablespoons each sake and shio-koji. Chicken was marinated for about 30 minutes in the fridge. 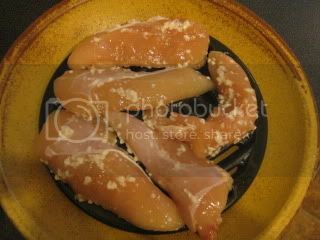 Chicken was put on the grate (black-side up) in the skillet of microwavable steam-roaster, TOCHINSAI. (Remaining marinade was discarded.) It was covered and cooked in microwave for 2.5 minutes (700-watt) and rested with the cover on for 5 minutes. Super aromatic shio-koji chicken! Each piece was shredded roughly by hands. I couldn't help but snacking on some, because it tasted so delicious and tender. I thought this itself can become a dish on its own. 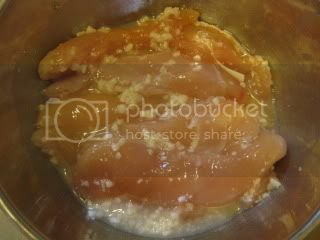 Oh, and the chicken juice left in the skillet was so precious, too. It's a super-rich broth. I drank it up this time, but you could save it for something else, if you like. 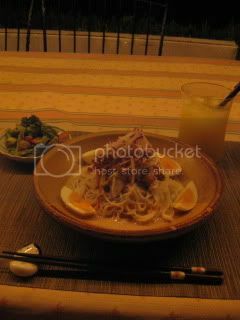 I cooked somen noodles and rinsed in cold water. 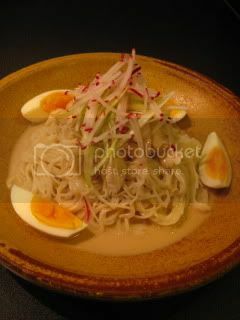 The drained somen noodles were plated with boiled egg, sesame sauce (recipe will follow) was poured, and topped with some shredded radish and thinly-sliced scallion. The condiments were my homemade chunky la-yu (hot oil) and lime wedges. Perfect! I even used Tochinsai's skillet as a serving plate! 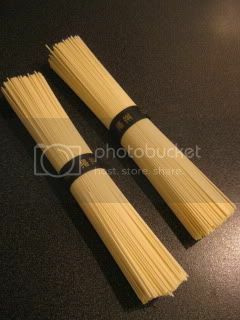 1 cup regular soy-base dipping sauce for somen (I make my own kind as below, but you can shortcut and use a store-purchased kind). Combine all the ingredients in a sauce pan and set over medium-high heat. As soon as it starts boiling, turn off the heat.